PARENTS and guardians of youngsters with disabilities are being offered guidance and support thanks to a ground breaking new partnership. Sunderland Carers Centre is working with Sunderland Royal Hospital, providing a new service at the Niall Quinn Children’s Centre offering weekly support and advice to parent-carers across the community. Wendy Greenhow, Parent Carer Practitioner at Sunderland Carers Centre, runs a drop-in service every Friday morning at the Niall Quinn Children’s Centre to shine a light on the extra support that is available for people who dedicate their lives to caring for disabled youngsters. Wendy said: “The pressure that comes with caring for a child can be extreme, and it’s vital that carers are supported – we want every parent-carer to know that help is at hand and find out about the support services available to them. There are estimated to be over 30,000 carers in Sunderland, and Sunderland Carers Centre works tirelessly to provide the necessary support required by each individual carer. By working in unison with the Niall Quinn Children’s Centre, the team at Sunderland Carers is reaching out to parent-carers and the guardians of young people with disabilities. Wendy added: “I can provide one-to-one emotional support and also signpost the many services that might be useful to their caring role or to their child’s needs. I also accompany carers to any meetings and appointments to ease their anxieties or fears. 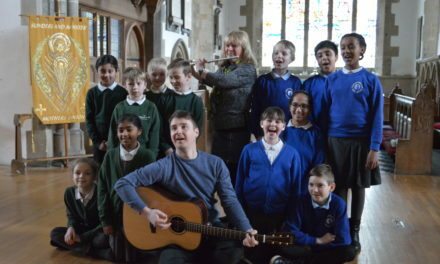 Dr. Karen Horridge, Paediatrician at NHS City Hospitals Sunderland and immediate past chair of the British Academy of Childhood Disability, said: “Every Friday morning I run a clinic for children from birth to 18, many of whom have very complex disabilities and special individual needs. “We are delighted to welcome Sunderland Carers Centre team to support families attending our paediatric disability clinics at the Niall Quinn Children’s Centre at Sunderland Royal Hospital. Having face to face contact with a team who care for carers, who can provide relevant information about care and support is invaluable and greatly appreciated. Dr Horridge works alongside fellow consultant colleagues, Drs Carl Harvey and Madhu Dasarathi – the team of paediatric disability doctors run the clinics on Friday mornings to provide support to children and those who care for them. Sunderland Carers Centre also works closely with Sunderland Parent Carer Forum to better understand the challenges that face parent carers and look towards better solutions. “The Parent Carer Forum is a group of parents who all care for a disabled child or young person,” said Wendy. “They do brilliant work, gathering views from other parent carers and making sure children and their families are being heard. 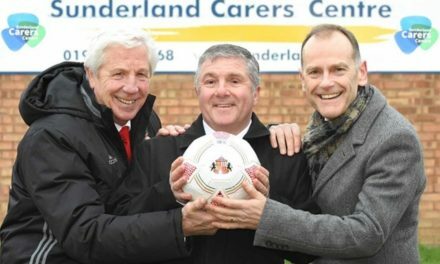 Sunderland City Council is a key sponsor of the Sunderland Carers Centre, and is pleased to support its new partnership with the Niall Quinn Centre. Sunderland Carers Centre provides a listening ear and a range of advice and support to carers from across the city. To find out more about Sunderland Carers Centre, visit www.sunderlandcarers.co.uk, follow @SunderlandCarer on Twitter, @SunderlandCarersCentre on Facebook, call 0191 549 3768 or pop in to the centre on Thompson Road.